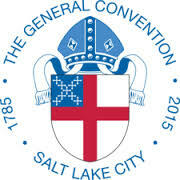 BLOGFORCE: Where did you see resurrection at General Convention? Responses and abstracts are due by 5PM Central Time on Sunday the 19th of July and will be posted on the 20th. 2. Send the permanent link and a 120 word or less origin story abstract to blogforce@acts8moment.org. This should be done by no later than 5PM Central Time on Sunday the 19th of July. On Monday, the abstracts will be re-posted with links. At that point, the provided code will point to the round-up page instead of here.